It is of typical form in the that blade is curved, long and relatively thin. There is no guard for the hilt and the pommel spreads out in large wings. Yatagans originated in Ottoman Turkey and spread to northern Africa. 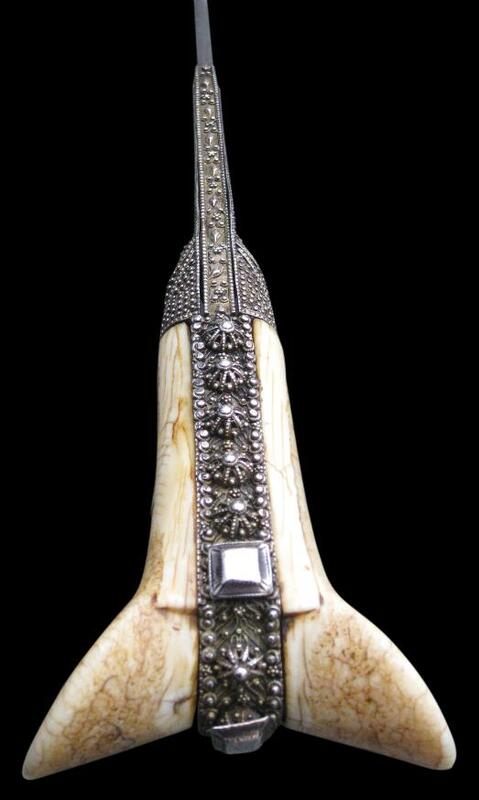 yatagan is unusual for the size of the handle and the embellishments about it. The presence of a tughra among the gold overlay inscriptions, whilst sometimes encountered on other yatagans, marks this example out as a particularly good one. This example originally would have come with a scabbard, probably in repoussed silver. The walrus ivory in this example is complete and in perfect condition; with no cracks, chips or repairs, and with a beautiful honeyed patina. A dating of 1811 is not surprising. The Ottomans were busy militarily at this time. In addition to the ongoing first Serbian Uprising (1804 – 1813), they also had to deal with a Russo Turkish war, which had been on-going since 1806 and was only to end in 1812 in defeat – the same year in which the Ottomans recaptured the holy cities of Arabia, via their Egyptian proxies. 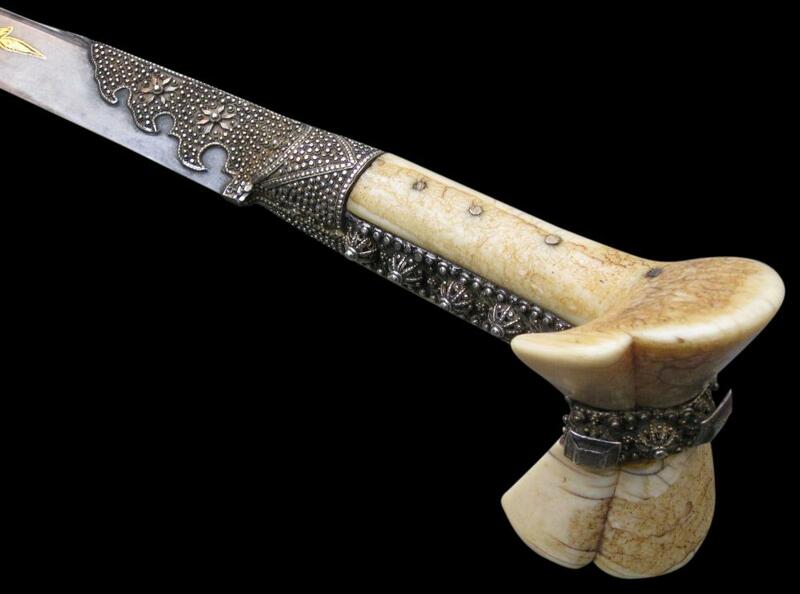 A similar-style yatagan, although with a less prominent handle, was offered by Spink in its ‘Treasures of the Courts’ exhibition and catalogue (1994). Other examples are shown in Elgood, R., The Arms of Greece: And her Balkan Neighbours in the Ottoman Period, Thames & Hudson, 2009. Acquired at Bukowski’s Auctions, Stockholm in 1994.